First adult birthday party rocks Fort Worth and "wows" guests! 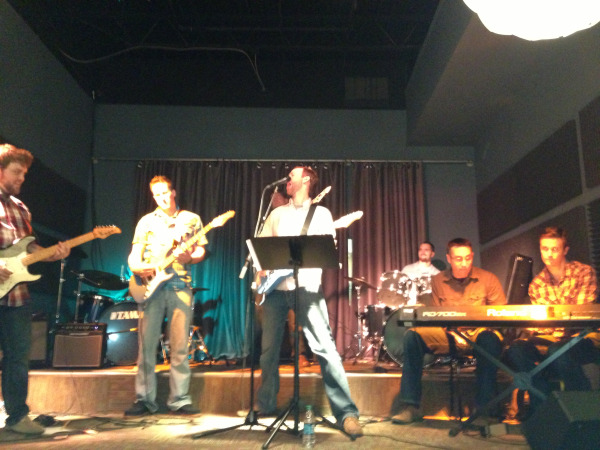 CREATIVE SOUL'S FIRST ADULT BIRTHDAY "BAND EXPERIENCE" PARTY ROCKED THE HOUSE AT OUR SOUTH FORT WORTH LOCATION! Last Friday night, Creative Soul amped it up with our very first adult event at our S Fort Worth venue! We had our first "For the Grownups" Birthday Party where total beginners to advanced musicians came in, jumped on an instrument, learned a couple of songs from one of our..